A Must to Dial In Your Edelbrock Carb. 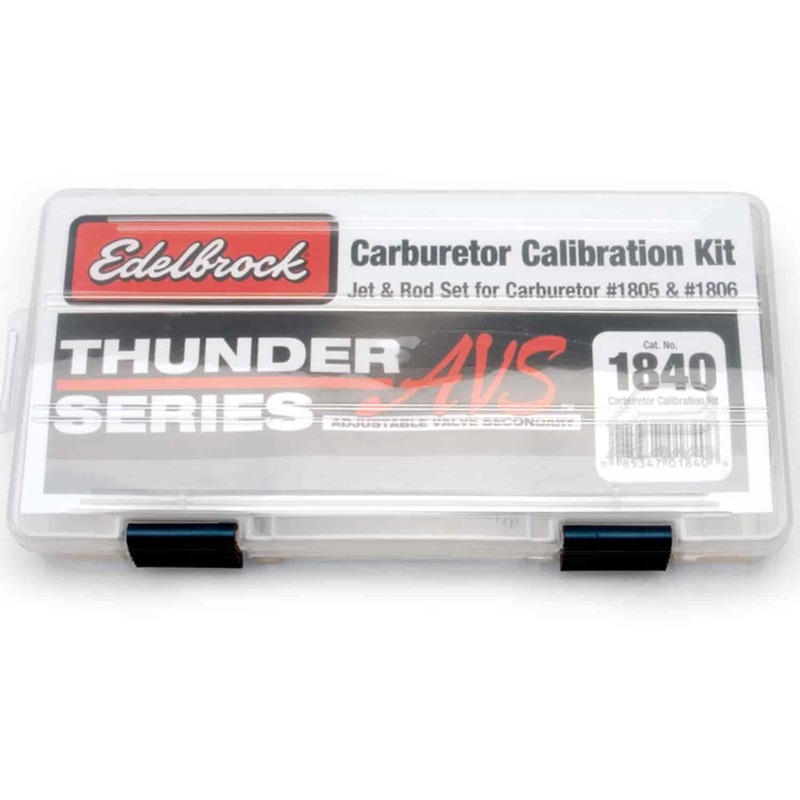 Use these calibration kits to customize your Edelbrock carburetor. Components and quantities are specifically tailored for each carburetor. 1840 is rated 3.0 out of 5 by 1. Rated 3 out of 5 by cwillia21 from Good but need more These are quality components, but unfortunately the jets and needles I needed were not included in this kit. I would suggest having an idea of which combinations you want to try and checking the kits' contents before buying. Will this kit work for the 350-1905 Avs2?